Soliton IT is set to get Rewired at new Digital Health show! Soliton IT is delighted to announce their participation in the brand new healthcare IT event, ReWired. 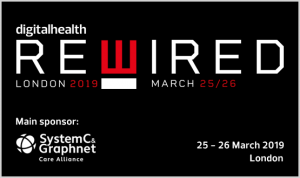 The latest initiative from Digital Health, Rewired is designed to connect health IT leaders with the latest digital health innovations. Along with showcasing our Radiology IT applications, Soliton IT will also be taking part in the Digital Imaging sessions in the afternoon as supported by the Royal College of Radiologists (RCR). Please pay us a visit on stand E10 for a discussion on how we can help your Radiology departments.